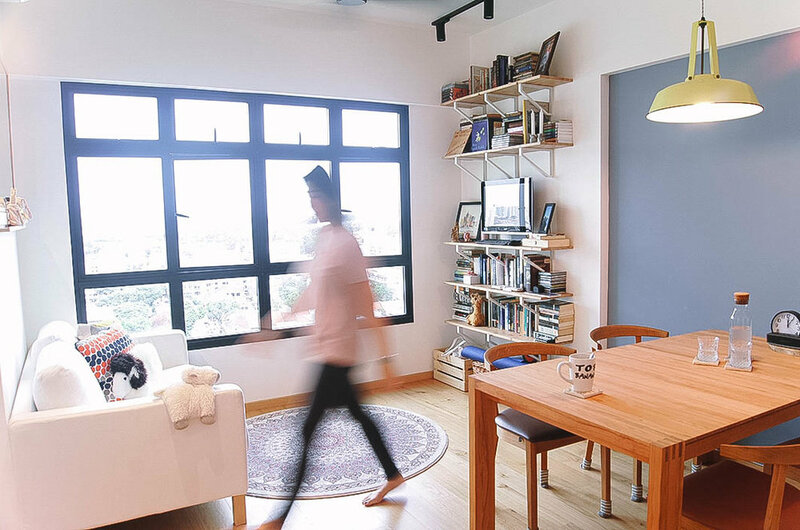 The clients of this cozy 3-room HDB apartment appreciate a clean, subtle design aesthetic to suit their lifestyle. 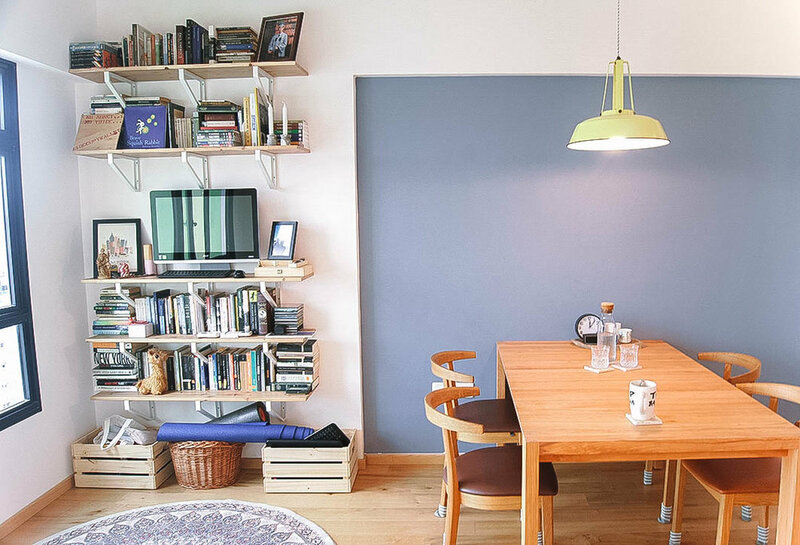 With the application of a cork-based oak wood floor, soft white walls and a soothing accent of a blue-grey shade, the living room and bedrooms reflect a sense of calm and lightness, ideal for relaxing, reading, and entertaining family and friends. 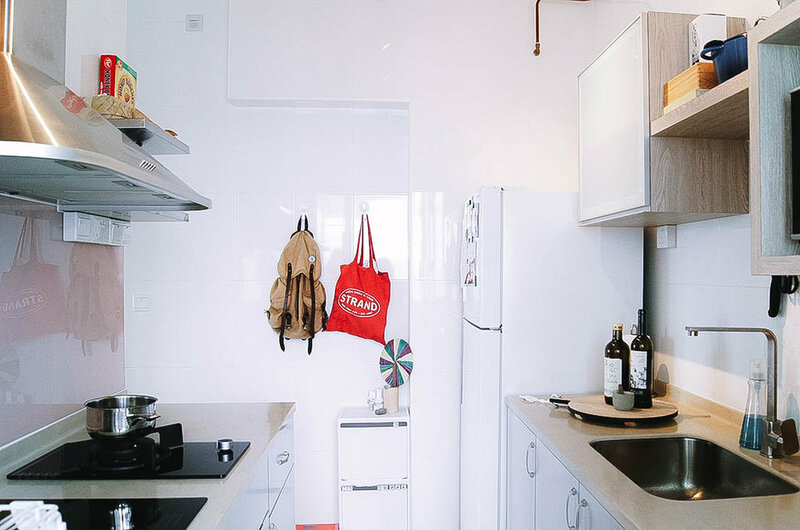 The couple enjoys cooking, and envisioned a kitchen space that maximizes the square footage, and adds a slight rustic touch to the overall design. The result was a desert pink backsplash, earth-toned counter top, wood and brushed metal finish cabinets. 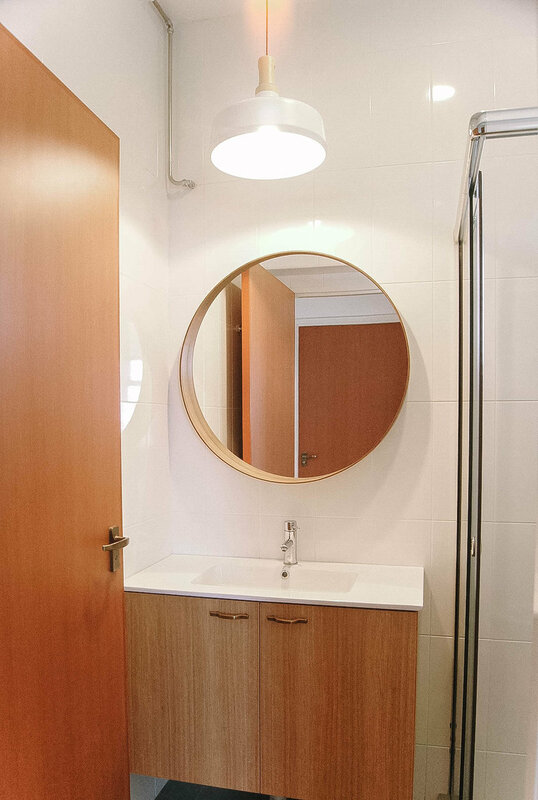 In the bathrooms, we worked with existing wall finishes to create a different look to both spaces with new flooring, and accent tiled walls in the shower area. Overall, the apartment came together to create a space that is welcoming, airy, and served as a canvas for the couple to adorn and build on with their personal touch.